Put simply, Calvary Chapel Portsmouth is a non-denominational Christian church (i.e we are not part of any particular denomination). We are not opposed to denominations as such, only their over-emphasis on doctrinal differences that can lead to division. We meet each Sunday for our family service, which includes a time of worship led by the Calvary Portsmouth band, a time of Bible study led by Pastor Barry, and a Sunday School for children aged 3-12. After each service we have a time of fellowship and refreshments. We also have a mid-week prayer meeting, Bible study, Ladies meeting and Mens meeting. On a number of occasions throughout the year we host or attend various teaching conferences. Our primary aim is to faithfully serve our great God and Saviour, and to help any “who have ears to hear” to understand this most amazing book we call the Bible as we grow together in knowledge and grace. History records that two young men, Gilbert West and Lord Lyttleton, went up to Oxford. They were friends of Dr. Johnson and Alexander Pope, in the swim of society. They were determined to attack the very basis of the Christian faith. So Lyttleton settled down to prove that Saul of Tarsus was never converted to the Christianity, and West to demonstrate that Jesus never rose from the tomb. Some time later, they met to discuss their findings. Both were a little sheepish. For they had both come to similar and disturbing conclusions. Lyttleton found, on examination, that Saul of Tarsus did become a radically new man through his conversation to Christianity, and West found that the evidence pointed unmistakably to the fact that Jesus did rise from the dead. We extend a warm welcome to any who would like to join us, and would love the opportunity to share with you what the risen Jesus has done, and continues to do, in our lives, and the assurance He gives that our sins can be forgiven, and our eternity secured. Calvary Chapel Portsmouth is a registered charity (1050895 – CALVARY CHAPEL), and we have a comprehensive child & vulnerable adult protection policy. What is it that makes Calvary Chapel different from other Bible-believing, evangelical churches? It’s always good to have a grasp of the unique work that God has done in our fellowship. If Calvary Chapel is exactly like the church across the street it would be better to simply merge the two. But, if there are distinctives that make us different, then we have a unique and special place in the plan of God. Certainly there are churches that share many of our beliefs and practices. We’re not renegades. But God has done a wonderful work of balance in the Calvary Chapel movement that does make us different in many areas. For a copy of the ‘Calvary Chapel Distinctives’, please email us. Calvary Chapel grew out of the ‘Jesus Movement’ of the late 60’s and early 70’s on the West coast of America. Pastor Chuck Smith was led by the Lord to start teaching expositionaly through the Bible (i.e. verse-by-verse, chapter-by-chapter), something certainly not unique to Calvary Chapel, but something that has become very much a distinctive of it. There are now thousands of Calvary Chapel fellowships around the world, who although autonomous, hold to the same basic doctrines. There are currently around 60 Calvary Chapel fellowships in the UK, many of which are the result of American pastors and teachers who came to the UK to specifically to start Calvary Chapel fellowships, although a number are ‘home-grown’ fellowships that have become affiliated to Calvary Chapel after seeing the poor teaching and often undermining of the Word of God in many of the mainline denominations. In the case of Calvary Chapel Portsmouth, Ron Matsen, the founding pastor, came to the UK as a result of his professional work with IBM. Ron had been personally involved in the work and ministry at Calvary Chapel Costa Mesa, in California (the ‘original ‘ Calvary Chapel pastored by Chuck Smith), but had been led of the Lord to New York where he and his wife Marcie planted a Calvary Chapel. In 1992 Ron and the family moved to the UK and were led of the Lord to begin a Bible study in the Portsmouth area, which over time became Calvary Chapel Portsmouth. 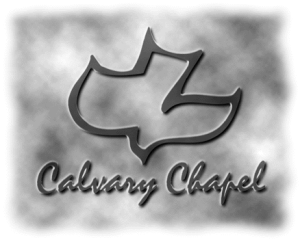 Where Does Calvary Chapel Fit In? In a broad general sense, Calvary Chapel represents the middle ground between ‘fundamentalism’ and ‘Pentecostalism’ in modern Protestant theology. In fact, we believe that this is at least part of the reason why God has raised up this ministry. Fundamentalism is that portion of Protestantism that holds to the literal interpretation of the Scriptures, believing that they are divinely inspired and inerrant. Hence, the “fundamentals” of the faith are emphasized. Although the modern news media and the liberal church scorn fundamentalists as backwards and stupid, the truth is that fundamentalism has preserved the integrity of God’s Word and held on to the essential doctrines of the orthodox faith. However, over the years, Christian fundamentalism, whilst clinging to the integrity of God’s Word, tended to become rigid, legalistic, and unaccepting of spiritual gifts. At the other end of the protestant scale we have ‘Pentecostalism’. Pentecostalism as a modern movement grew out of the Azusa Street revival in Los Angeles at the turn of the 20th century, and produced denominations that emphasize the fullness of the Holy Spirit and the exercise of spiritual and Scriptural gifts of the Spirit that had fallen dormant in the main line churches. Also criticized by traditional churches and news media as being emotionally driven, Pentecostalism restored to the church the importance of gifts of the Spirit and the power of God for the believer today. Thus Pentecostalism became enthusiastic and emotional, often at the expense of the teaching of God’s Word. Calvary Chapel sits in the balance between the two. At Calvary Chapel Portsmouth we believe in the gifts of the Holy Spirit revealed in the Bible, and we encourage their exercise, but always decently and in order, and with the primary emphasis on the Word of God, which we look to as our primary rule of faith. So we do believe in the gifts of the Holy Spirit mentioned in the Scriptures, and that they are valid for today if they are exercised within the Scriptural guidelines. We as believers are told in the Bible to covet the best gifts, seeking to exercise them in love that the whole Body of Christ might be edified. However, as the Apostle Paul make clear, love is more important than the most spectacular gifts, and without this love all exercise of spiritual gifts is worthless. Because of this balance, Calvary Chapel Portsmouth’s services are designed to be centred around the verse by verse teaching of God’s Word, We appreciate that many Pentecostals may think we are not emotional enough, and many fundamentalists may think we are too emotional. That balance, could well be an indication that we are right where God wants us to be. Calvary Chapel Portsmouth is organized differently. For us, church government is very simple, not a complex bureaucracy. Committees and sub-committees are essentially non-existent. From that which is seen in Scripture, we believe the pastor is responsible for the church, responsible to hear from God, and responsible to feed and love His people faithfully. In the words of one Calvary Pastor, “My primary task as a pastor, given to me by God, is to bring the saints to maturity in Christ, to equip the saints for the work of ministry”. Elders are appointed to help the pastor care for the spiritual needs of the congregation, and Deacons appointed to take care of the practical running of the church, including the board / trustees who help the pastor care for the material needs of the church.